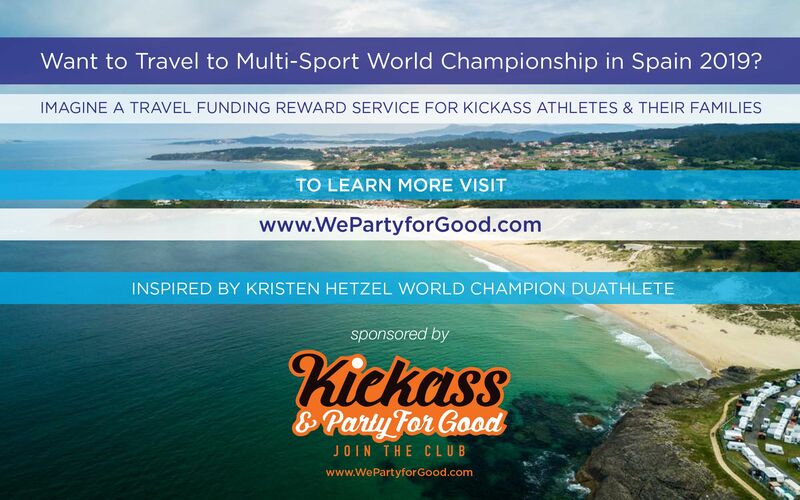 "Kicka$$ and Party for Good" is a fun invite only social club in L.A. for like-minded "Rockstars in Life" that make a difference every day, and rewards members travel funding to celebrate and enjoy the world's funnest party every season. Kristen Hetzel is a great role model that embodies what it means to "Kicka$$ for Good." According to Kicka$$ and Party for Good Founder, Carlos Cymerman, "We are humbled to select such an outstanding woman, we met Kristen three years ago, and she has amazed us every step of the way." The Rockstar selects one destination for "Kicka$$ & Party for Good" to reward travel funding (flights and hotel accommodations). 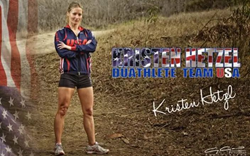 Kristen's choice is the 2019 Pontevedra Multi-Sport World Championships, in Spain. 1) Must live in Los Angeles, be 30 years of age, and be a 'Rockstar in Life' who has made a difference for at least 5 or more years. 2) RSVP with Susan(at)WePartyforGood(dot)com to attend Fun Foodie Party at Art-Food Restaurant in Santa Monica. Parties are by invite only and limited to 10 awesome attendees. 3) Once verified individual is making a difference; the person is invited to participate in rewarding travel funding service, sponsored by Recruiting for Good. Carlos Cymerman adds, "What makes Kristen a 'Rockstar in Life,' is the sacrifices she makes to be a champion athlete, her commitment to mentoring kids; and above all else she is the kindest, most humbled, and spirited soul." Kicka$$ and Party for Good is a fun invite only social club in L.A. for 'Rockstars in Life' that make a difference every day; and serve family, friends, and community. 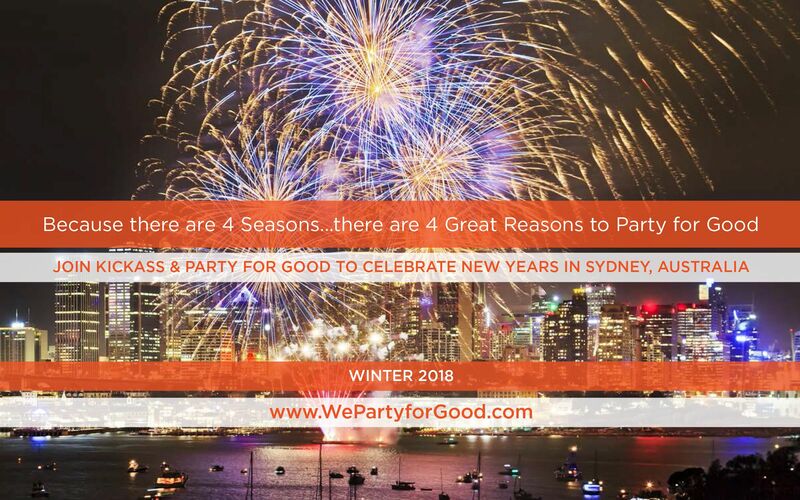 Club members enjoy access to travel funding service provided by Recruiting for Good to the World's Funnest Parties Every Season (Fall 2018 Hawaii Food and Wine Festival in Maui, Winter 2018 New Years Eve Party in Sydney, Australia, Spring 2019 Multi-Sport World Championships in Pontevedra, Spain, Summer 2019 Edinburgh Festival Fringe, Scotland). Recruiting for Good, a socially progressive staffing company in Santa Monica, serving talented professionals since 1998. Companies retain us to find the best talent in Accounting/Finance, Engineering, and IT professionals. "We support Our Moms Work, a fun community service." And reward referrals with travel to celebrate life.